Eastman's Falcon Air has superior balance and a specially designed Falcon track with air power to decrease heat build-up during cutting. End cutters provide the means to increase speed, efficiency and accuracy in your end cutting operation. 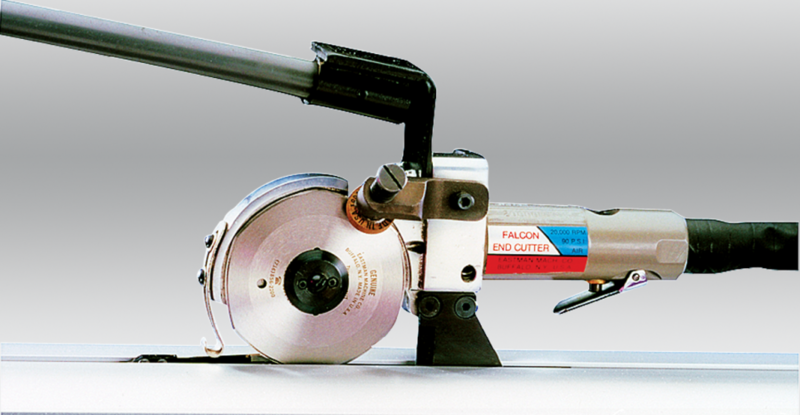 The Falcon Air is perfect for end cutting fusible materials such as heavy rubber and plastic sheeting or for cutting in wet environments where electricity is not applicable. SALE PRICE: Contact us at 1-800-228-0001 for a quotation.